No, they'd be way too small. I think they'd probably work for Real Works bodies (4.25 to 4.5 inch scale). 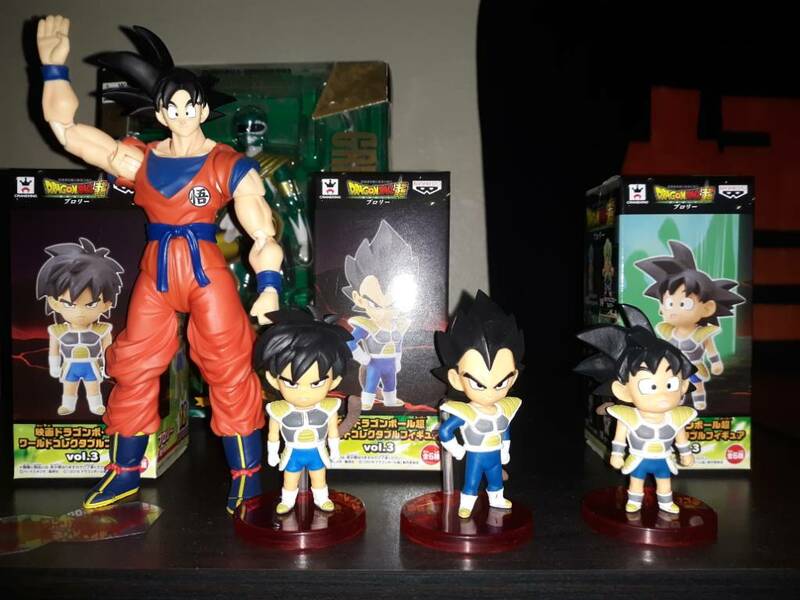 Finally getting Super Saiyan 3 Goku. 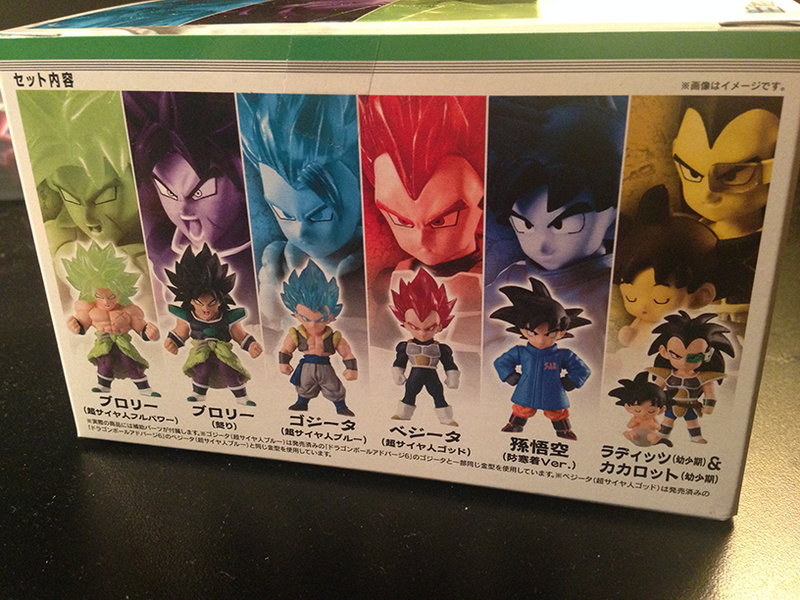 The Super Saiyan Broly seems to indicate that's not one of the hidden figures for Adverge 9, but given recent movie advertisements I think we've all got a pretty good guess at who probably occupies one or both of those slots. 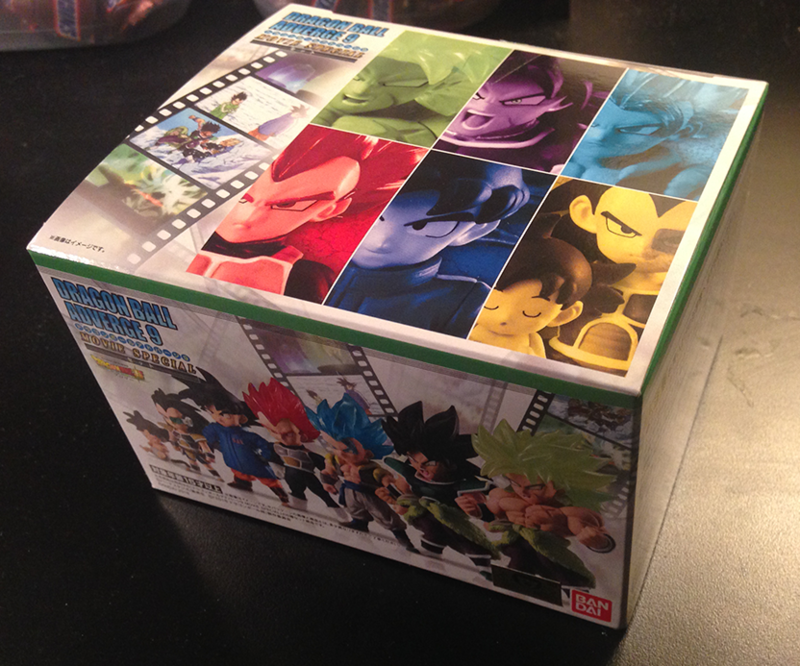 Adverge 9 is the Broly Movie Special one, which was available in a box of 10 as normal, but this time also had a Set box as well. 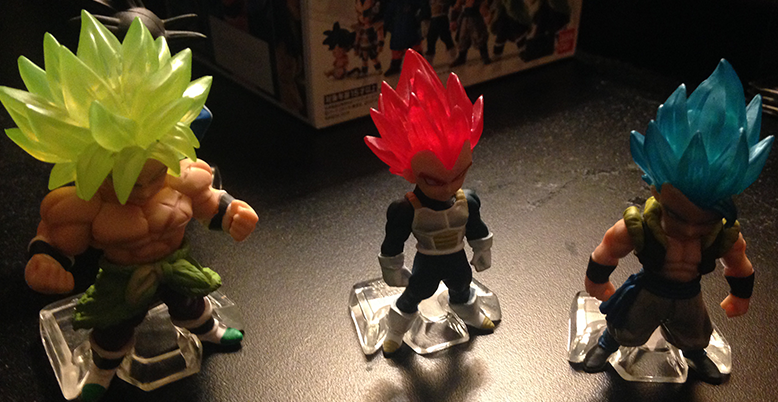 It went for nearly half the price and has one of each figure. 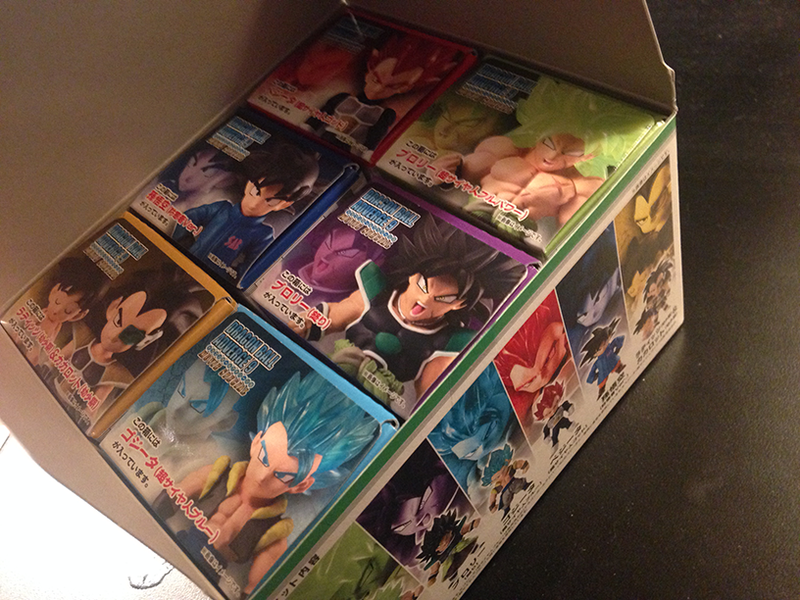 The boxes these usually come in are generic black ones with the title on the top, intended to be ripped along edges so they can easily be put out for customers to buy individual figures. But the set is different as you might imagine, probably intended to encourage movie hyped fans to just go ahead and spend more money now. The individual boxes are actually slightly bigger than usual, too, so I wonder if those are different on the usual box of 10. 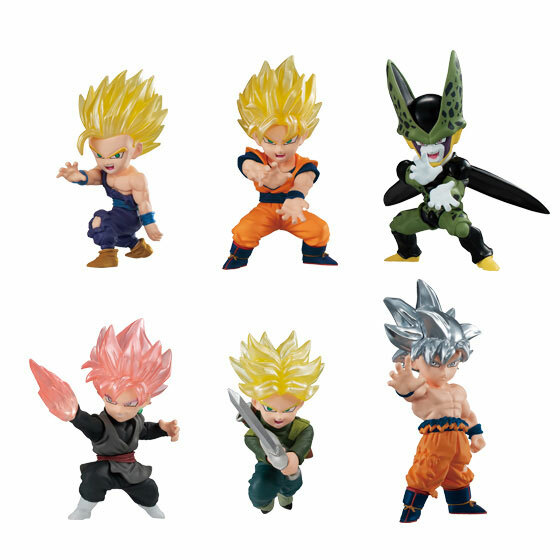 If they end up making WCF figures of those kids, then the Adverge heads on the WCF bodies would likely be good enough for 5 inch scale and to some, good enough for Figuarts scale. So now we've got yet another wacky spin off line in the form of Dragon Ball Adverge Motion. Iiiiii'm not super into this since I really just like the uniform standing poses and it seems to me other lines are already doing the same thing, but I guess that's cool. Just as long as it doesn't eat into the regular releases. 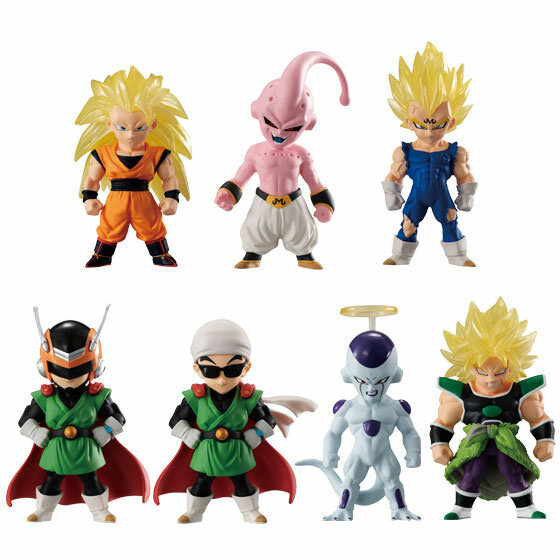 Seems pretty unnecessary, though I must admit the SS2 Gohan with SS Goku is pretty cool. 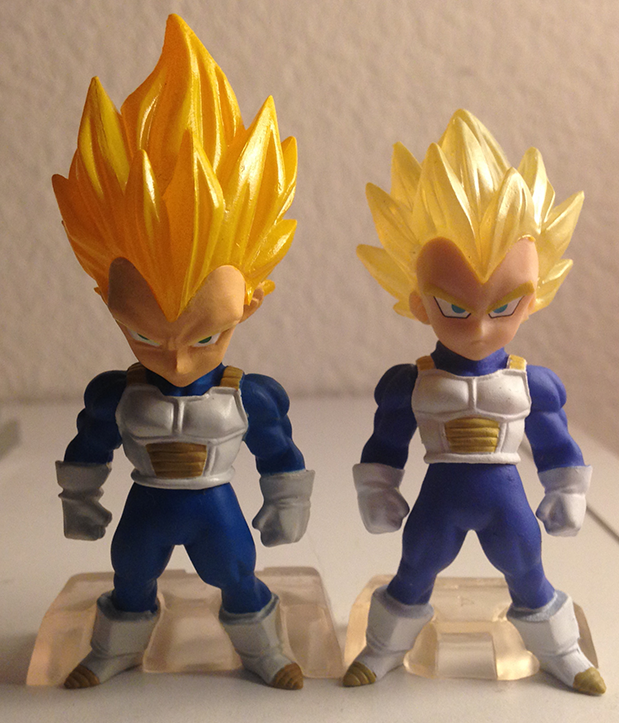 I've mentioned before the big quality change implemented between Adverge 3 and 4, but I thought it might be useful to illustrate this with some of my own photos, not just Bandai's perfect images. Aside from the obvious face/eye printing difference, the colors are much sharper, if considerably less bright. The scale of the head is a little smaller. 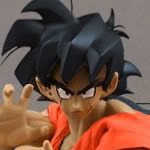 The hair is more translucent as well (I'll get into that again later). 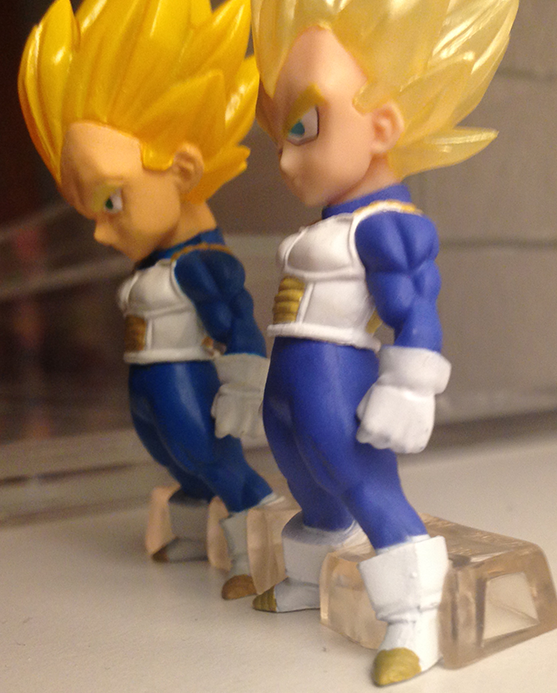 The base for helping the figure stay up is also slimmer around the sides, which is nice. 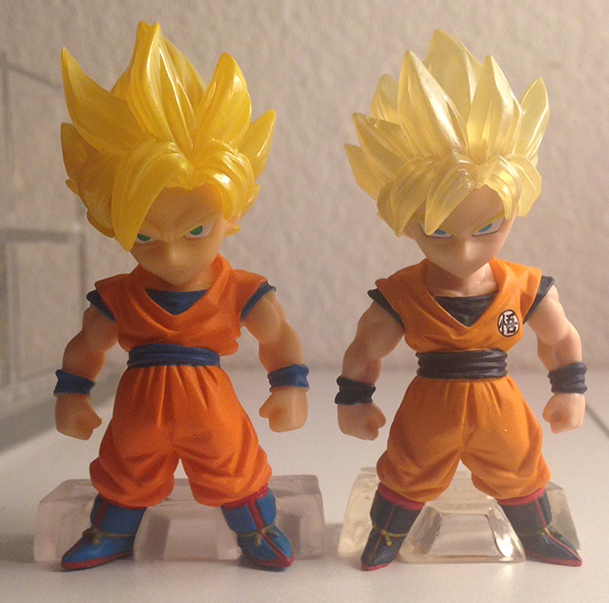 Some of the bigger and heavier figures have it extend further to the back than others, which is a good thing. These are so different the first practically looks like the suit from the reenactment of the Cell Games, and might make you wonder why anyone went for it at all before. Hey, they looked pretty good when we didn't know any better! Adverge 3 was the last before the change and so you can already see some of the differences they were going towards (the legs and stand seem to be the same, for instance). 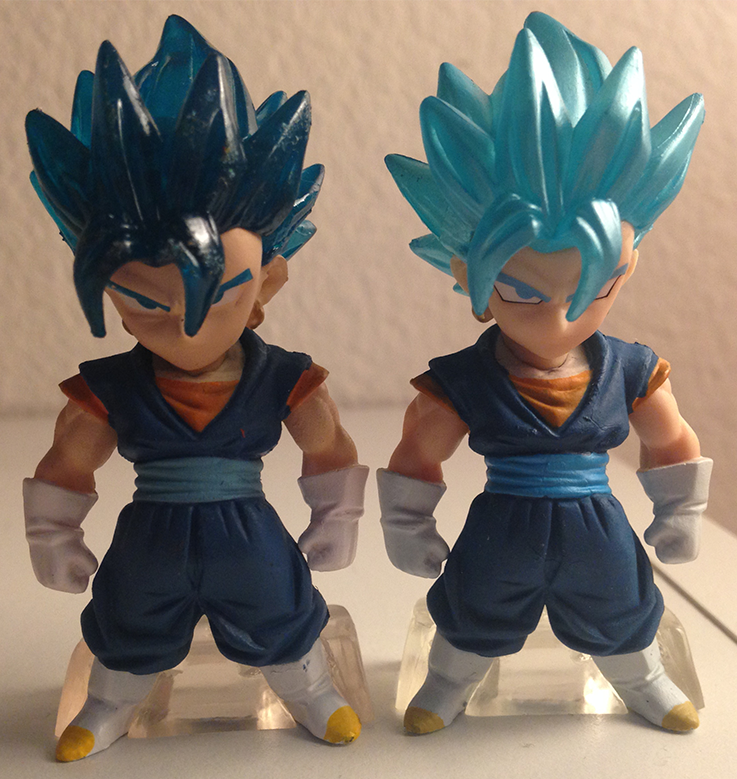 Although the newer one is more accurate and probably better overall, I am fairly fond of the glowy dark blue on the original for the sake of it. 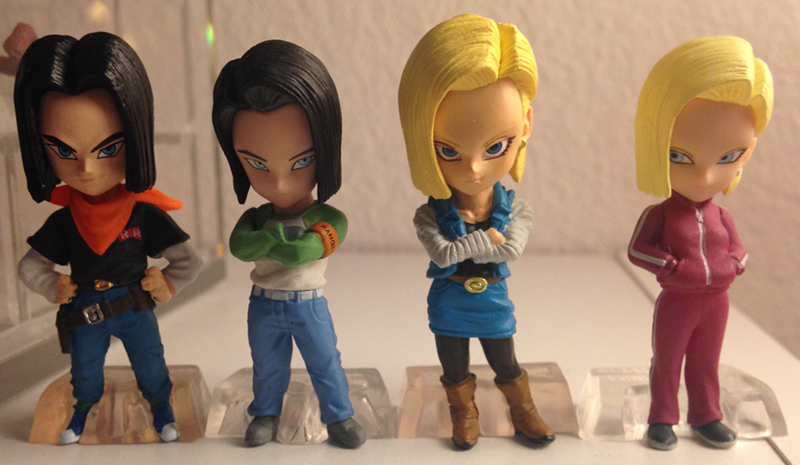 With the old Androids, they looked fine to begin thanks to better eyes anyway, but it's interesting to see what changed with their newer versions, once again with a subtle scale down. The old 18 definitely couldn't stand on her own. The translucent hair glows pretty nicely with decent light. It was somewhat true of the originals, but they pretty apparently decided to go all-in on this aspect with the upgrade by making them even more see-through. Great comparison pics! The quality improvement looks massive! Hers those wcf figures I was talking about, not quite adverge size but I love how they scale with my figures exactly what I wanted. Adverge 11 has been up for pre-order for a while now, but for some reason they really dragged on showing images. 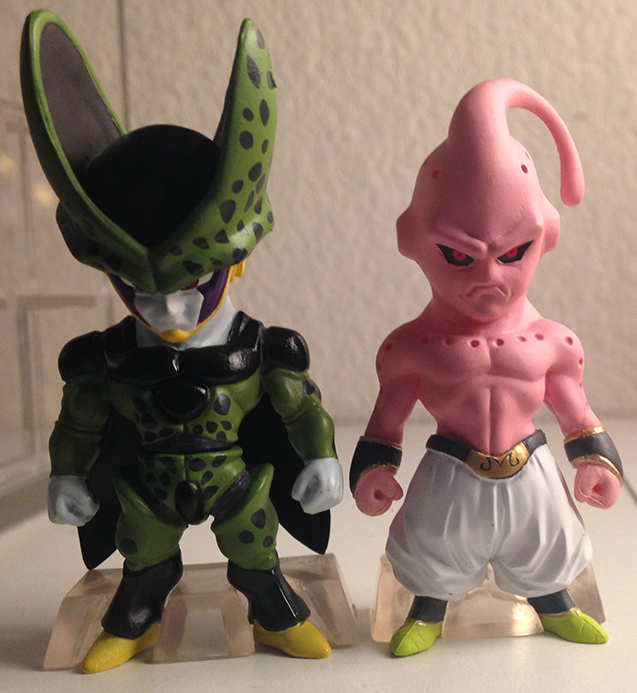 This is the second Piccolo, the first also being a turban/cape version, but with crossed arms. That one seemed fine to me even if it was from the old sculpts, but I'm alright with getting another, and I wonder how it'll compare. 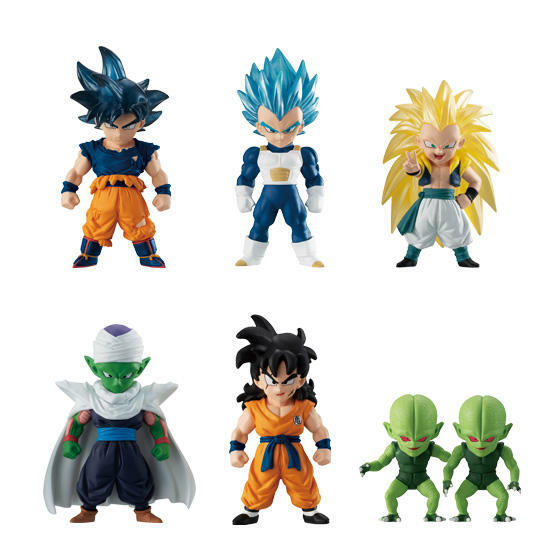 I'm interested in getting the Yamcha and Saibamen I think. I'll have to wait and see if I can get them for a cheap price. On a side note, there's no pictures yet, but there's a One Piece Adverge Motion listed now, also with a Set box version. There's no previous Adverge or Converge line for that franchise, so I suppose they figure it's a good spin-off.